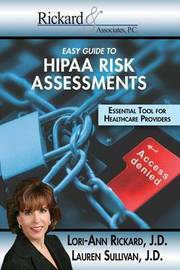 Risk assessments are a key requirement of complying with HIPAA. Covered entities must complete a HIPAA risk assessment to determine their risks, and protect their PHI from breaches and unauthorized access to protected information. There are many components of risk assessments, which can often seem burdensome on healthcare providers. So, in more detail, what are risk assessments, and what do you need to do to successfully implement your organization's HIPAA risk assessment? This guide will show you!